Hello friends! Finally...it's starting to look and feel more like spring. Splashes of pink, yellow and purple are bursting into bloom. 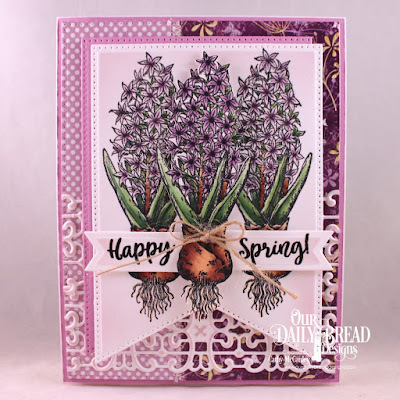 Today I am sharing several purple cards including one that was made for the 2018 Mega Sponsor Spring Blog Hop for Our Daily Bread Designs. Creative Nugget: Papers from the Whimsical Wildflowers Collection and the Pastels Paper Pack were stitched together to make the background. The Trellis Strip Die was used to cut two borders which were layered over the papers. Two hyacinths from the Easter Greetings set were stamped onto a Large Banner die cut and colored with Copic Markers. A third hyacinth was cut and popped up over the sentiment which was split onto a Pennant Flag die cut. A jute twine bow was added to finish the card. The next two cards were made for the ODBD Two for Tuesday feature. Creative Nugget: The design for this card is from CAS(E) this Sketch. 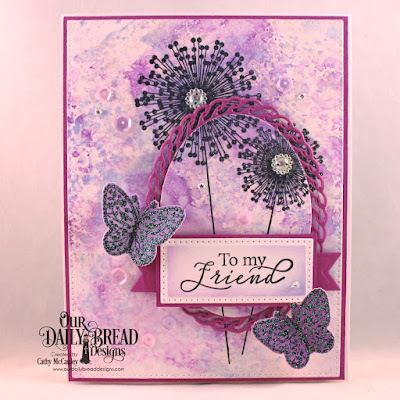 Different shades of purple Distress Oxide Inks were used to create the simple background which was cut with a Pierced Rectangle Die. An area for the sentiment was masked and the flowers from the To My Friend stamp set were stamped in Archival Jet Black ink and embossed with clear sparkle embossing powder. A gemstone was placed in the middle of each flower and some sequins added for additional sparkle. The sentiment was stamped in the masked off area. For the stepped up version, an Oval was die cut from the flowers and framed with a die cut made with one of the Layered Lacey Ovals. 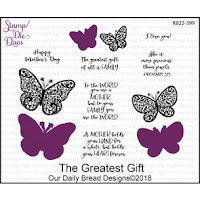 The sentient was stamped on a Pierced Rectangle die cut and butterflies from The Greatest Gift Stamp/Die Duo were added. Thanks so much for stopping by...take time to enjoy Spring today! Good morning, friends! Today we are taking another look at the ODBD April 2018 Release. 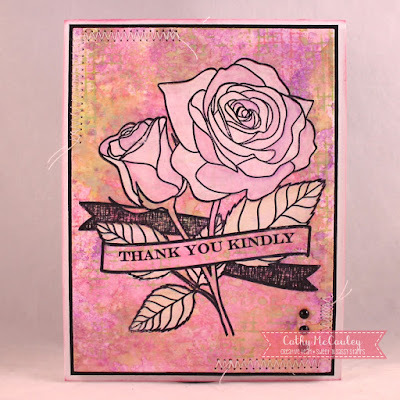 I have a few projects to share with you using the Wavy Words Stamp/Die Duo Set released this month. The banner die and sentiments in this set are so versatile and perfect for many different occasions. Creative Nugget: Papers from the Boho Bolds Paper Pad were cut with a Pierced Rectangles Die and stitched together to make the background for this card. The sentiment was embossed on the banner die cut and popped up over a circle frame cut with the Filigree Circles, and Pierced Circles dies. A Beautiful Border was added along with a tassel made from dies from the Timeless Tote die set. 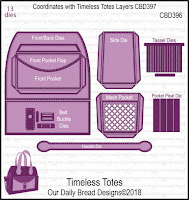 A matching tote and little purse was made using the same papers from the Boho Bolds Paper pad and the Timeless Tote Dies, Timeless Tote Layers Dies, and the Petite Pocketbook Dies. 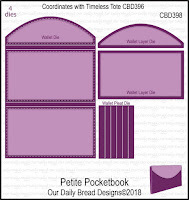 The petite pocketbook is perfect for a monetary gift or gift card and tucks right inside the tote. Hello friends! 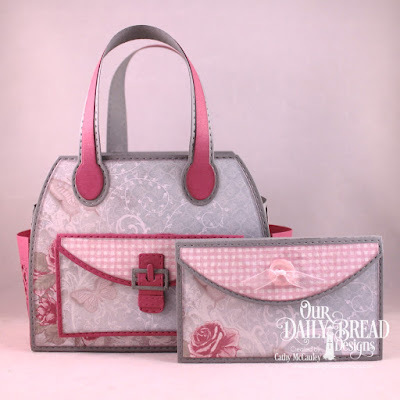 Today is Throwback Thursday over at Our Daily Bread Designs and the featured stamp set for today is the Zinnia Bundle which includes the Zinnia stamp set and the coordinating dies. Creative Nugget: The zinnia flowers from the Zinnia Bundle were white embossed on a piece of mixed media paper and cut with a Pierced Rectangle Die to create the background. Mustard Seed, Fired Brick and Peeled Paint Oxide Inks were applied over the embossing and spritzed with water. 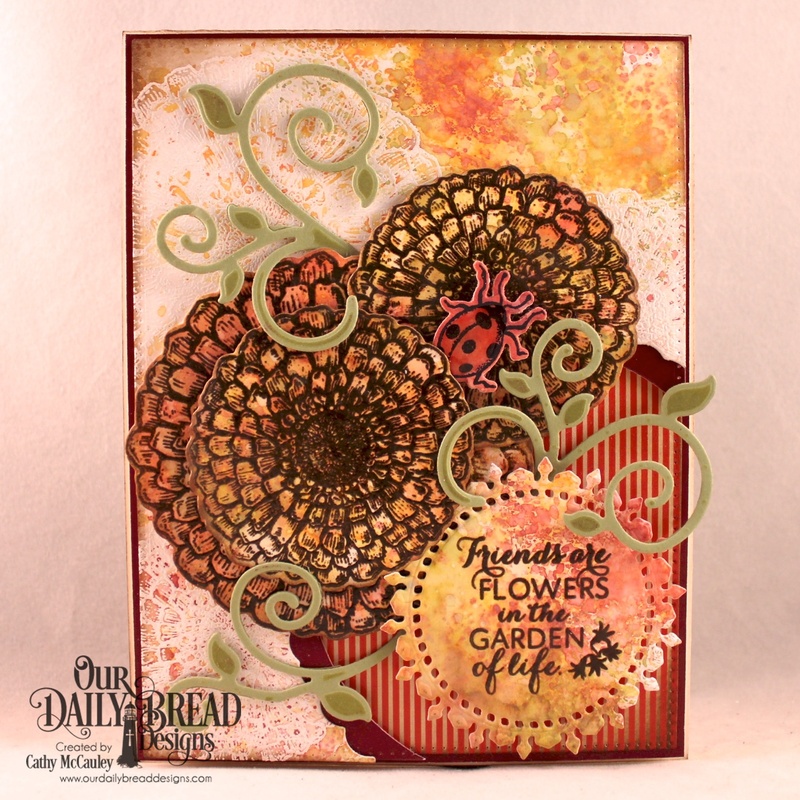 Filigree Circle Dies were used to cut a circle from the panel which was backed with papers from the Fall Favorites Paper Pad. The same oxide inks were applied to another piece of Mixed Media paper. The zinnias and sentiment were stamped with archival ink from this piece and cut with the coordinating zinnia dies and a Filigree Circle Die. Some Fancy Foliage and a small ladybug were added to finish the card. To see more samples using the All Mothers stamp set head on over to the Our Daily Bread Designs Blog. Thanks so much for stopping by...have a wonderful springy day! Hello friends! 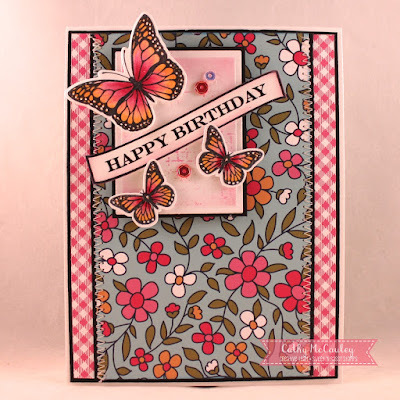 I have a card made for several challenges using a new stamp set by Sweet 'n Sassy Stamps, A Mother's Love. 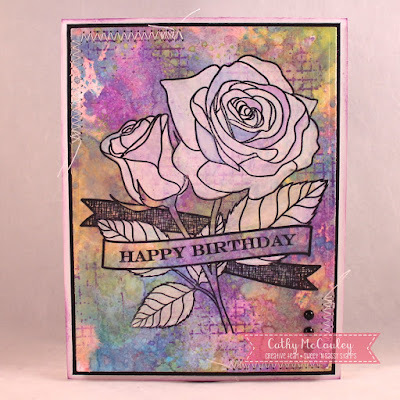 Creative Nugget: Worn Lipstick, Bundled Sage and Squeezed Lemonade Distress Oxide inks were sponged through a Gina K. Rose Swirl Stencil and spritzed with a mist of water to create the background. Black splatters were added. The striped paper was made with thin strips of black card stock glued to white card stock and pressed through the Big Shot. The silhouette image and the sentiment are from a new stamp set from Sweet 'n Sassy Stamps called A Mother's Love. The design is from Freshly Made Sketches but the orientation was changed. Thanks so much for stopping by...Hope you can enjoy some beautiful spring weather today! Hello Friends! Today I am sharing a set of note cards over on the Sweet 'n Sassy Stamps Blog and thought I would share here as well. I've been having fun with the new Stamp of the Month for April 2018. 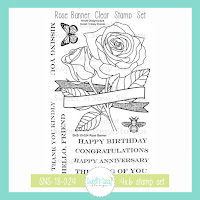 Not only is the Rose Banner Stamp Set designed by Nina Brackett beautiful and fun to use, but you can get it for free with a $75 purchase...however, only until the end of April 30th. Creative Nugget: A background was made using different colors of Oxide inks on mixed media paper. Texture was added using the Texture Tiles and coordinated ink colors. 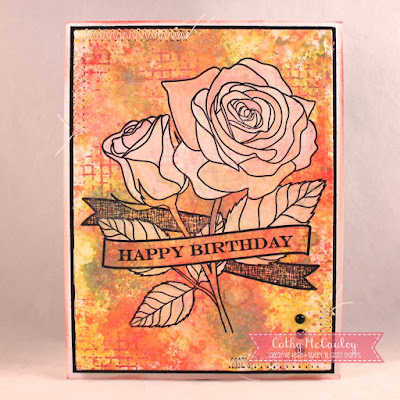 The rose image was placed in my Misti tool and stamped with archival ink. The rose and leaves were then painted with white gesso. The panel was put back into the Misti and stamped again with archival ink. A light wash of color was then added to portions of the flower and the leaves using watered down Oxide inks. Different sentiments from the Rose Banner set were stamped on each card. 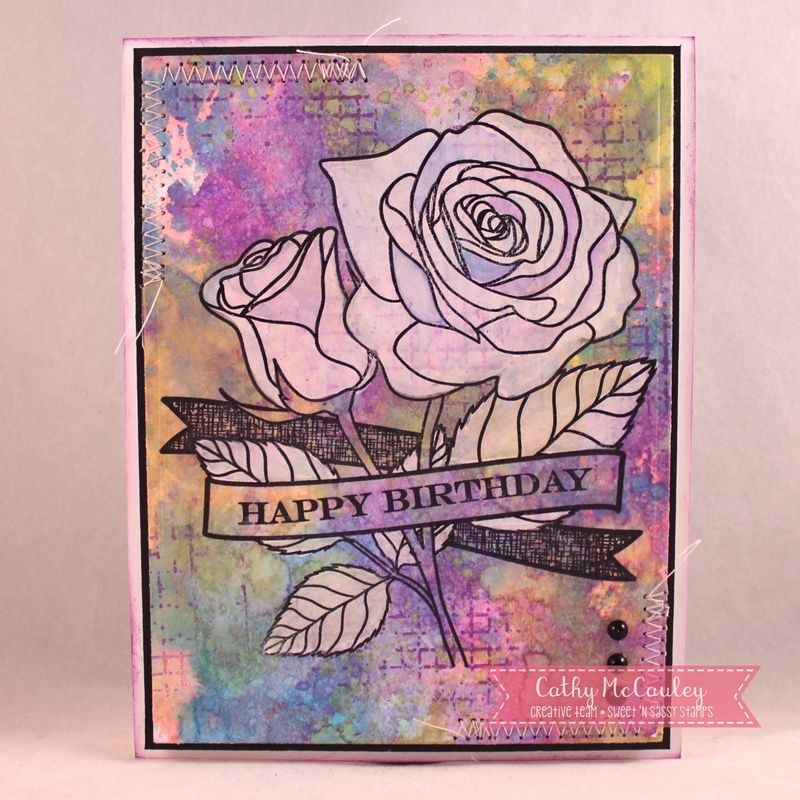 Love how the rose image pops against the bold background colors! Hello friends! 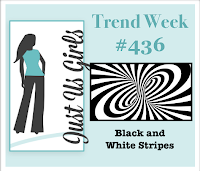 Have you had a chance to check out the April release from Sweet 'n Sassy Stamps? 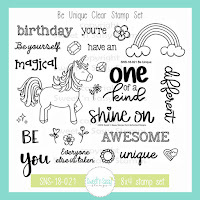 I just love this adorable unicorn from the new Be Unique Stamp Set. 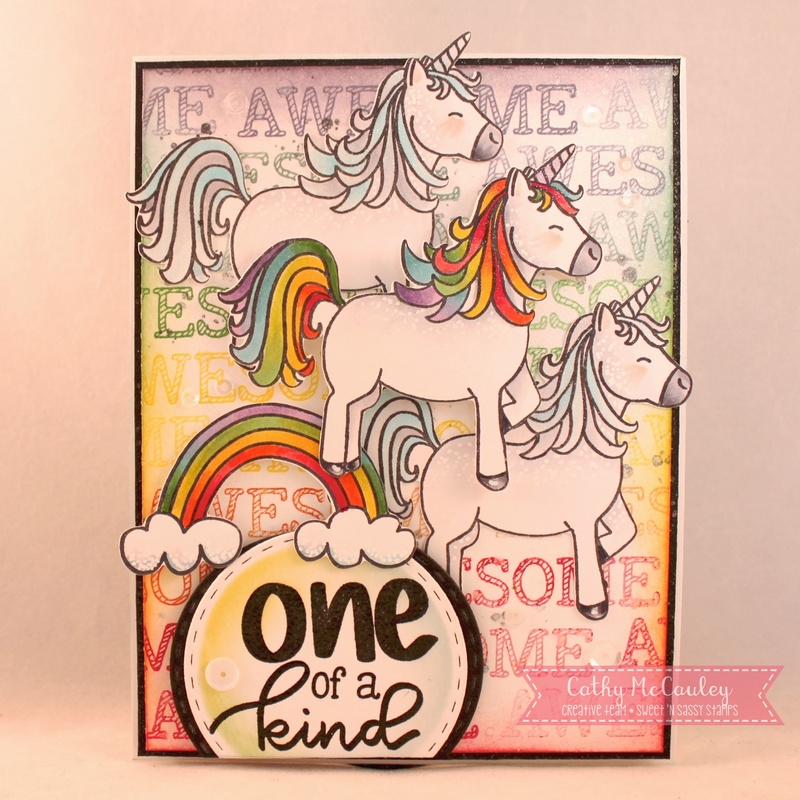 Creative Nugget: The AWESOME sentiment from the Be Unique stamp set was stamped repeatedly in rainbow colors across the background of the card. 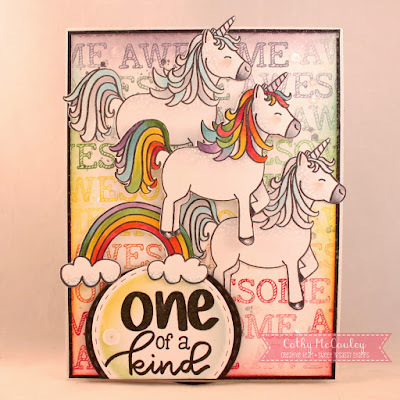 The unicorn was stamped and fussy cut three times with one of the unicorns colored with rainbow colors, making it one of a kind. 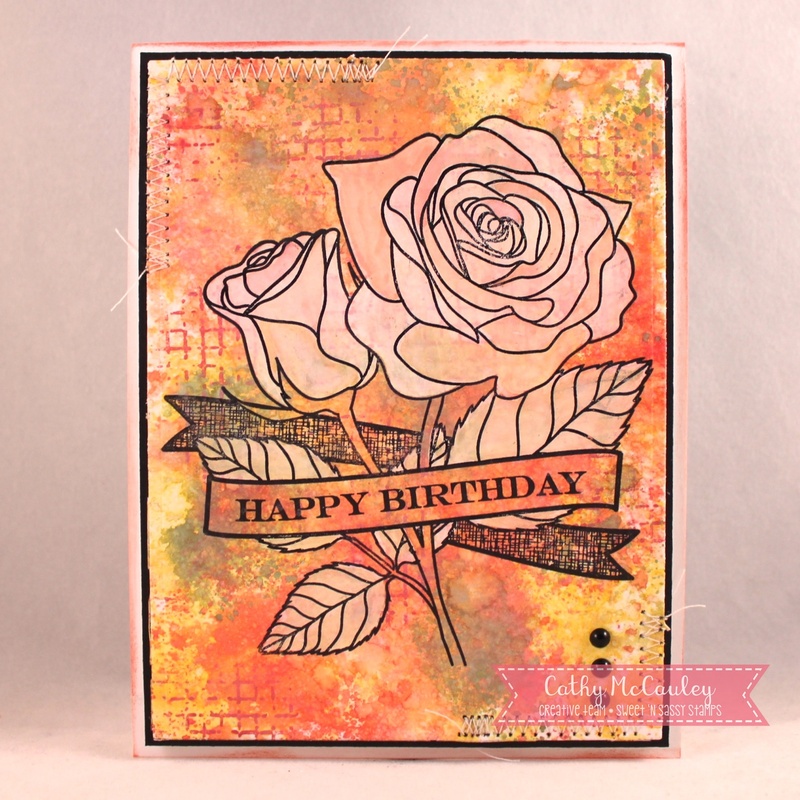 The April 2018 Stamp of the Month is the beautiful Rose Banner Stamp Set designed by Nina Brackett and is free with a $75 purchase..
Creative Nugget: Dare 2B Artzy papers were used for the design of the card. The banner from the Rose Banner Stamp Set was cut apart and the sentiment added. The small butterflies from the set and one of the Majestic Monarchs were added to a panel stamped with one of the Texture Tiles (**LOVE this stamp set**) along with a few sequins. Be sure to check the Sweet 'n Sassy Stamps Facebook for more samples made with these sets. Hello friends! 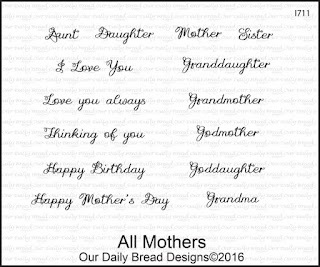 Today is Throwback Thursday over at Our Daily Bread Designs and the featured stamp set for today is All Mothers. The sentiments in this wonderful set can stand alone or be combined with any stamp set you have and is perfect for any of the women in your family...mother, sister, aunt, grandmother, etc.! 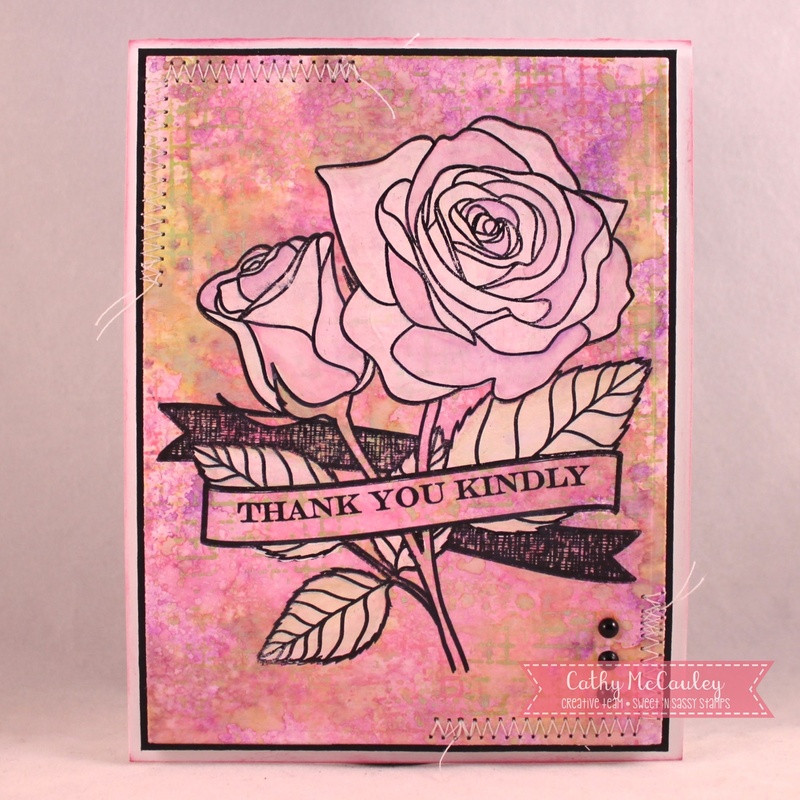 Creative Nugget: The beautiful papers on this card are from the Romantic Rose Paper Pad. The sentiment from the All Mothers stamp set was embossed on a banner cut with the Pennant Flags and Double Stitched Pennant Flags dies. 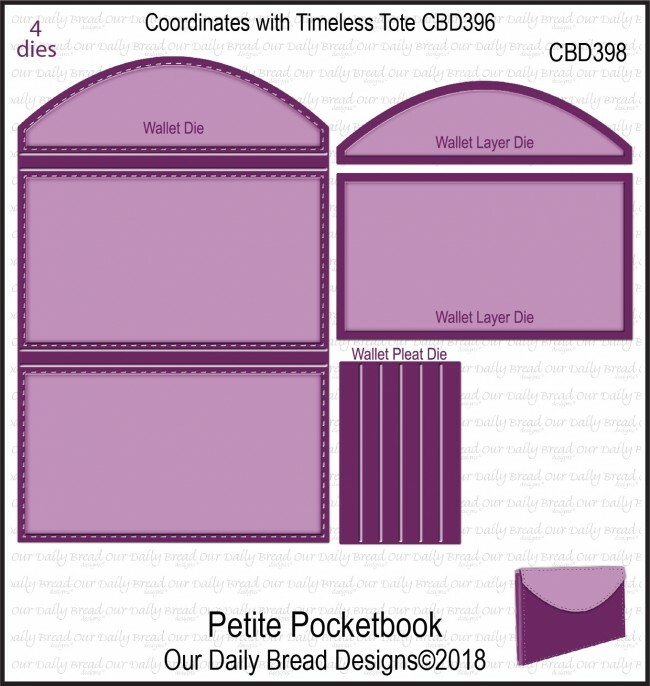 Other dies from the Our Daily Bread Designs Store include Pierced Rectangles, Circles, Filigree Circles, Trellis Strip, Bitty Butterflies, and Bitty Blossoms. 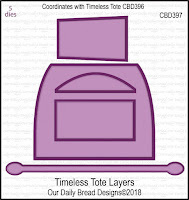 Good morning, friends and welcome to the Our Daily Bread Designs April Release. The stamps and dies being released are perfect for Mother's Day, Father's Day AND masculine and feminine cards needed throughout the year. Let's take care of Mother's Day first. My first sample uses the new The Greatest Gift Stamp/Die Duo. 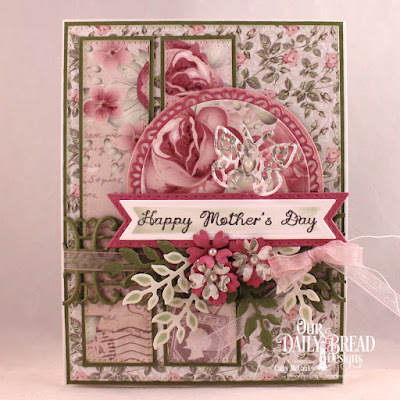 Creative Nugget: Papers from the Shabby Rose Paper Pad were used to create this Mother's Day card. The panels of paper were cut with a Pierced Rectangle Die and were stitched to a matching piece of card stock. A Beautiful Border die cut separate the two panels. A frame was cut with the Large Banners Dies and was backed with a piece of vellum. The butterflies from The Greatest Gift Stamp/Die Duo were white embossed on the patterned paper and cut with the coordinated dies. Sentiments were embossed on a Fancy Circle die cut and a Double Stitched Pennant Flag die cut. Sequins were added to finish the card. The Timeless Tote, Timeless Tote Layers, and Petite Pocketbook Dies can be used to make accessories to match the card and are just right for tucking away a little gift or gift card. Now let's take care of the fishermen in the family. 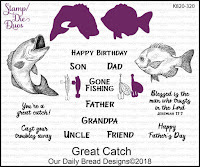 The new Great Catch Stamp/Die Duo is perfect for masculine cards. 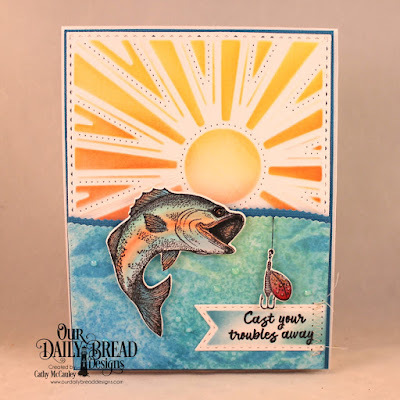 Creative Nugget: The Sunburst Background Die was used to cut and emboss a piece of mixed media paper and distress inks were sponged on the panel while it was still in the die. Distress Oxide inks were used to create the water panel which was cut with a Leafy Edged Border Die. The Salted Background Technique found HERE gave this panel some texture and a stencil was used to add some wavy shapes to the water. 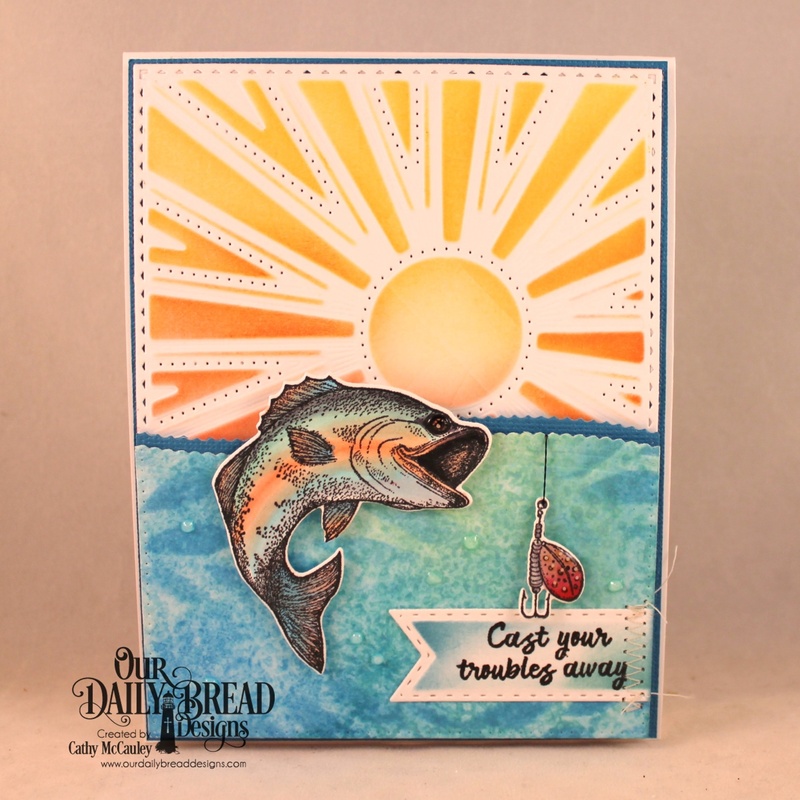 Copic Markers were used to color the fish from the Great Catch Stamp/Die Duo and the lure was hung with metallic thread. 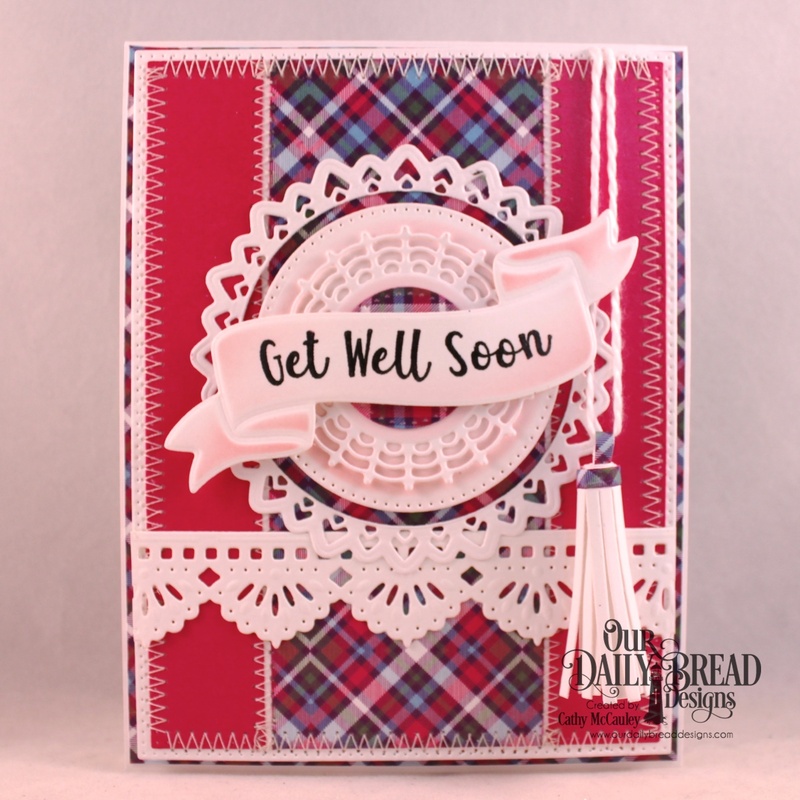 The sentiment was embossed on a Double Stitched Pennant Flag die cut to finish the card. 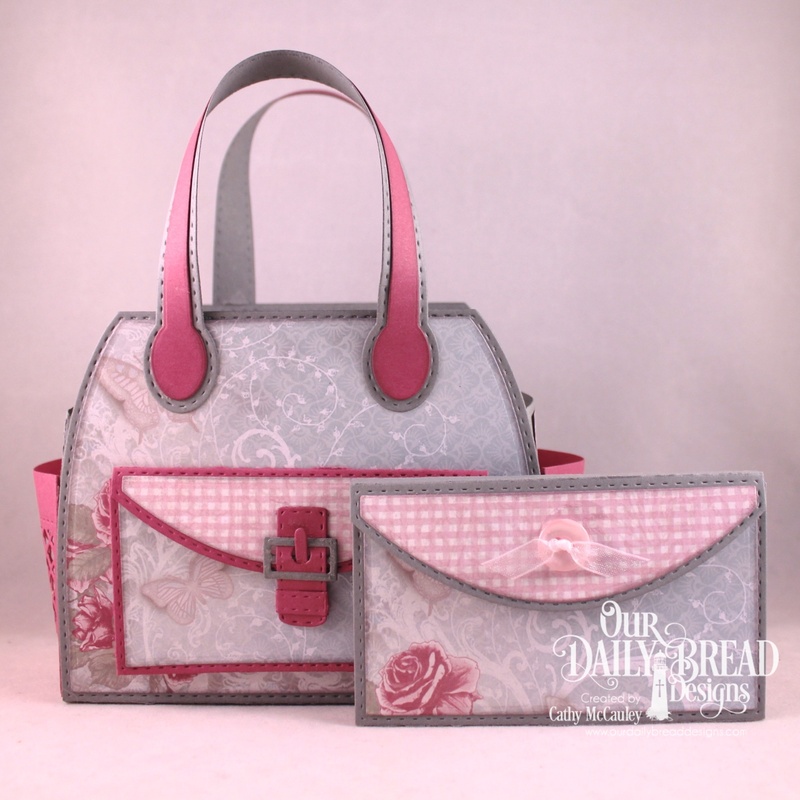 Be sure to check out the Our Daily Bread Designs Blog, Facebook Page, and Instagram to see more beautiful samples created by the Breadbasket Designers using products from the April release.